Mobile Shopping Experience is the priority for online retailers in 2019. Find out why, and see 5 simple User Interface hacks to improve Mobile Shopping Experience and eCommerce conversion. Sometimes the smallest things make the most significant difference. Many retailers are missing sales opportunities because they don’t optimize online stores for mobile screens sufficiently. The add-to-cart conversion rates on mobile devices are on average 9% vs. 12% on desktops. (2) So if you implemented simple mobile updates, you might improve the conversion rate and make it closer to the average 12% desktop rate. 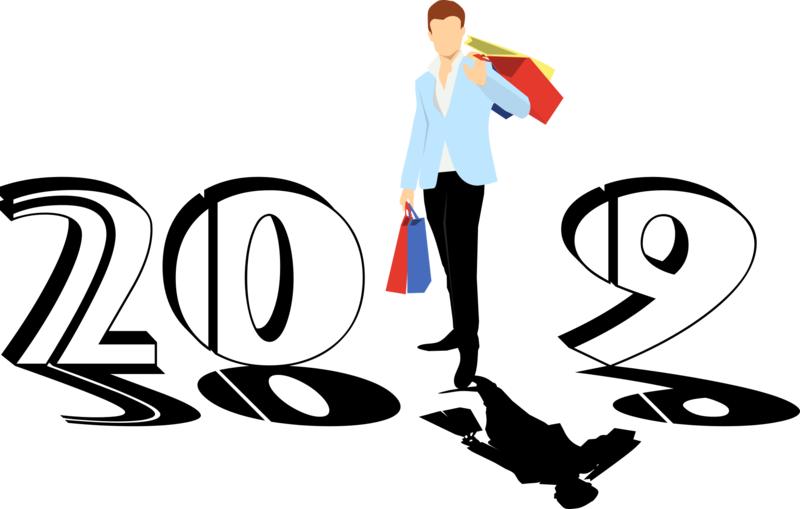 Give that mobile shopping is on the rise; working on improving the click conversion might really help your bottom line. It is even more critical now when users who shop from mobile devices represent the majority. Using bold colors is a great way to stand out and also bring attention to key areas of your site. It is especially relevant if you are trying to appeal to the younger, less conservative crowd. Having a higher contrast for key elements on mobile screens improves the user experience of your online store. Use colors that compliment your brand colors on the color scheme. Your designer can help you choose the best options. 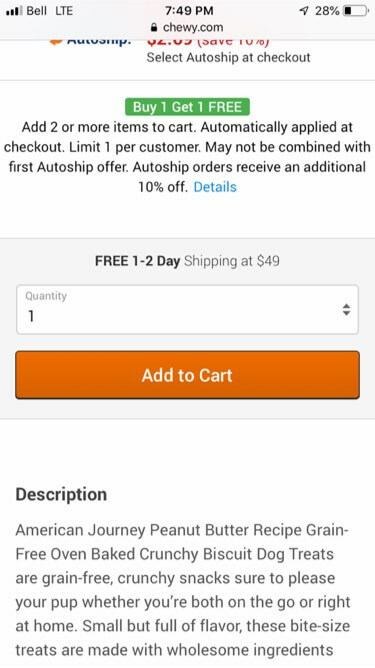 Add to cart button always stays towards the bottom of the mobile screen even when you scroll down. The product pages often have a lot of information so users will scroll through the page and having the ‘add to basket” button is a compelling reminder inviting the shoppers to add the item to the cart. You can experiment with the words Basket or Cart to see which one converts more. 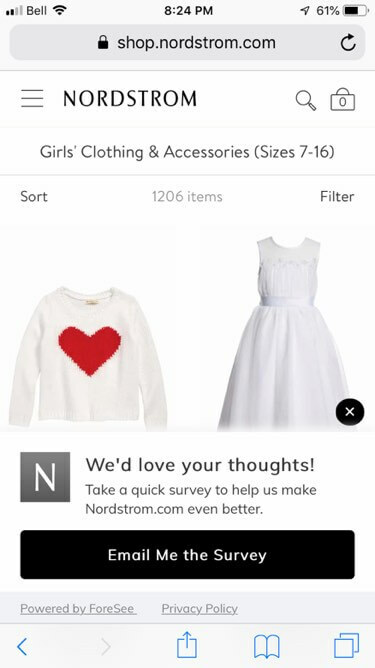 Similar functionality to the add to cart button but instead using a survey or another call to action is a great way to get shoppers attention. 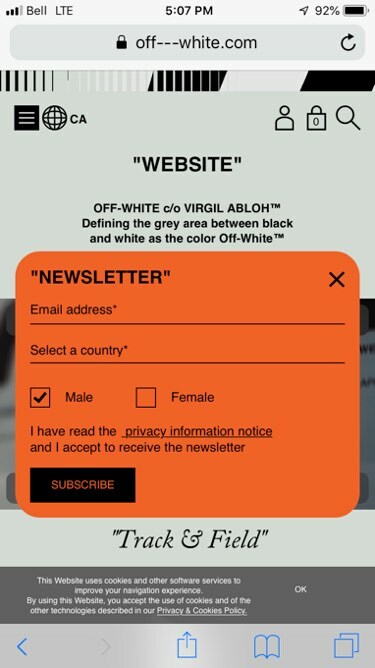 If you want to ask for customers opinion on certain new features or just a seasonal survey adding it as a sticky button is a great way to catch customers attention on mobile. Make sure the window can be dismissed easily and will not return for repeat visitors. 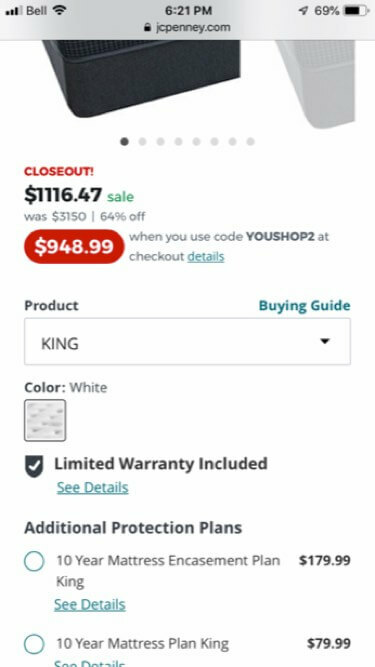 Putting the shipping information near the “Add to Cart” button reminds shoppers about Free shipping and may help with buying decision. 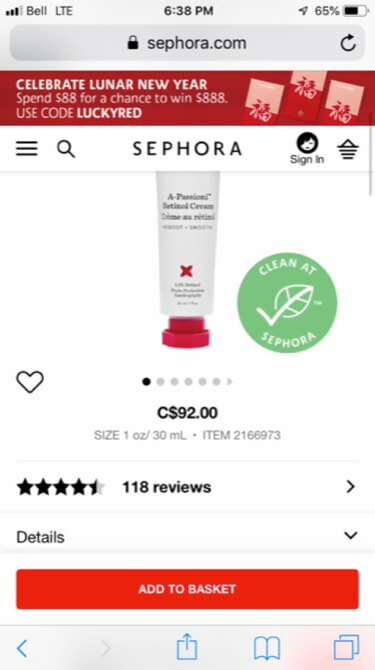 Given potential customers that extra information near the add to cart button might give them that extra comfort and make them buy the product. Make sure that the shipping note is clearly visible and potentially clickable to open to a small blocker window with additional shipping and return information as well as shipping time. 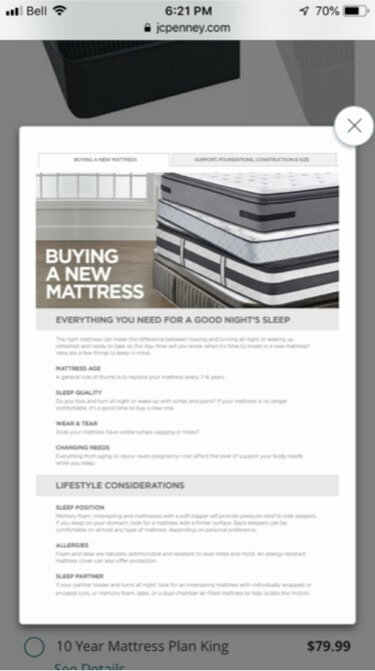 Placing essential product information such as product guide or size chart will keep shoppers on the same page. The location of a product guide or a sizing chart must be near the add to cart button and very visible since it is a vital piece of information that any potential customer will need before making that final decision to buy. Make sure the Guide is visible and opens up to a small blocker window that can easily be closed. When it comes to e-commerce design for mobile screens is no longer an afterthought of the desktop site design. Online retailers have no other choices but making a mobile purchase journey as smooth as possible to increase the conversion rate. Making mobile shopping experience as best as possible should be the priority on your action list in 2019!